Air Asia Philippines is set to resume its flights at the Clark International Airport (CRK), a move seen as a welcome development by authorities of the state-run Clark International Airport Corp. (CIAC), the operating arm of the international gateway north of Manila. Air Asia will launch thrice weekly Clark-Kalibo flights starting March 27 and four times weekly flights to and from Davao by April 22, two routes that are expected to further boost CRK’s passenger traffic. “CIAC’s efforts to attract more airlines have been rewarded and we are glad that Air Asia has finally agreed to resume flights this year,” Alexander Cauguiran, CIAC’s president and CEO, said during the second leg of the CRK Roadshow in Dagupan City on Friday. Cauguiran said that Air Asia’s business decision is a positive effect of President Rodrigo Duterte’s thrust to further develop and encourage additional flights at the airport of the North. “Transportation Secretary Art Tugade’s marching order is for us to entice airlines and to ensure first-rate operations of Clark airport,” he said. 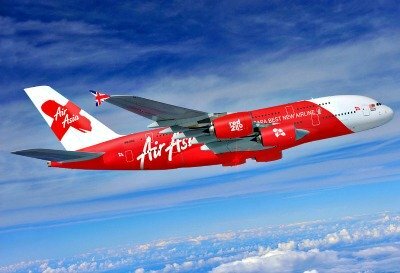 Air Asia, awarded the World’s Best Low Cost Carrier for eight consecutive years, has earlier committed to connect domestic cities to the northern and Central Luzon regions and to choice tourist destinations in the country. The resumption of Air Asia’s flights at CRK is seen to strengthen domestic connectivity as an international and domestic hub. It also marks the airline’s return after it suspended operations in 2013 and transferred operations at the Ninoy Aquino International Airport (NAIA). “The target market (of passengers) from Central and Northern Luzon is ripe and we expect that passenger volume will grow in the years to come as we continue to promote CRK as the next choice gateway of our country,” Cauguiran added. Philippine Airlines has already made its strong presence at CRK with domestic flights to Caticlan, Cebu, Davao, and international flights via Incheon in South Korea. The flag-carrier is also set to launch its Palawan route via Puerto Princesa and Busuanga domestic flights by March 26.